Grooming an older dog poses some challenges, to be sure. Below are some FAQ’s regarding grooming your senior friend. Will grooming be harmful to my older dog? Professional groomers are experienced in grooming dogs of all ages. 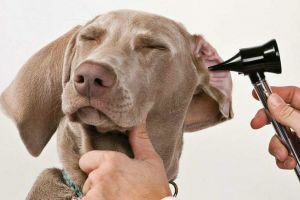 Extra special care will be given to assure that your pet is kept as comfortable as possible during the grooming process. For example, if your dog is arthritic, your groomer will keep your dog’s standing to a minimum. With a little tender loving care, older dogs should have no problem getting through their grooming session. Is it really necessary for my older dog to be groomed anymore? 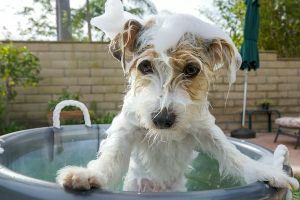 All dogs need to be bathed regularly to keep their skin and coat healthy—this doesn’t change once a dog becomes older. It’s also important for them to be brushed regularly to remove any mats and dead undercoat. Your older pet will be much more comfortable with a clean and tangle free coat. Most senior dogs also tend to “perk up” a little after they’ve been groomed. It makes them feel better, and they like looking and smelling good, too! When should I stop getting my senior pet groomed? There may come a point near the end of your dog’s life where grooming sessions become too tiring for him. Your professional groomer and veterinarian will be able to help advise you when this time has come. It’s also possible that your veterinarian may choose to prescribe pain medication if your dog is severely arthritic, or anxiety medication if your older dog becomes confused and experiences slight distress. The aid of medication may enable your pet to be groomed for a little while longer. 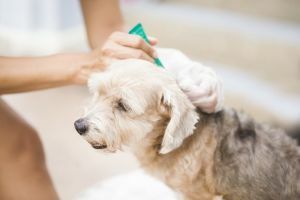 In most cases, with the advice of your groomer and veterinarian, you will know when your pet’s grooming sessions should cease due to his declining health.